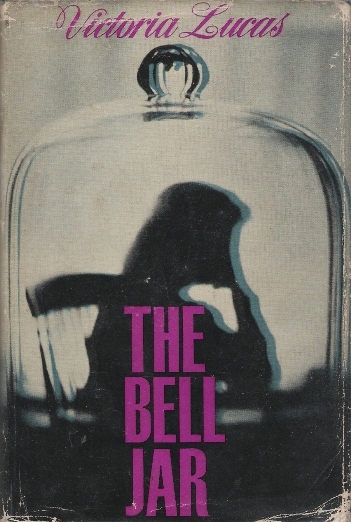 The Bell Jar was originally published on January 14, 1963. So, as per usual, I am late in my blog post commemorating the anniversary! If you’ve read older posts on my blog then you already know how much I adore Sylvia Plath and her writing. I have her signature tattooed on my body, I visited the site of her former dormitory at Smith College, yadda, yadda, yadda…. The Bell Jar wasn’t the first piece that I read by Plath, but it is the piece that I connect with the most. I actually couldn’t tell you how old I was when I first read this novel, but I can tell you that I was a teenage girl struggling with things that teenage girls struggle with, but those teenage girl struggles sat atop something much deeper that I didn’t quite know how to put into words. Luckily, Sylvia Plath did. Finding this novel was like finding a confidant or a best friend who knew exactly what I was feeling. Someone who knew how hard it could be to just wake up in the morning and do the things that you love. Or just breathe. For me, this novel was a lifeline, and, in many ways, it still acts as one today. Plath, like no other writer that I’ve read (yet? ), illustrates depression very accurately. There is nothing fluffed up in the pages of The Bell Jar, and there aren’t any apologies either. The novel fully explores the darkness, the hopelessness, the madness, the stigma, and the unpredictability of the disease. You can’t necessarily look at another person – or their life – and really be able to tell whether or not they suffer from depression. But, yes, it is a disease, and, unfortunately, it sometimes feels as though it’s one disease that the sufferer needs to be embarrassed of or apologize for. One of the greatest gifts that literature gives to the world is its ability to connect people across time, culture, space. In the case of The Bell Jar, we have a novel written 52 years ago that is as relevant now as it was then. To be a person stifled by a bell jar of one’s own – to be able to pick up this novel and know that someone else out there, at some point in time, felt like you do right now. That’s an amazing and beautiful thing. In conclusion, here are some of my favorite quotes from The Bell Jar. What are yours?